Welcome to barlite.com THE place for unique bar lighting and home accessories. 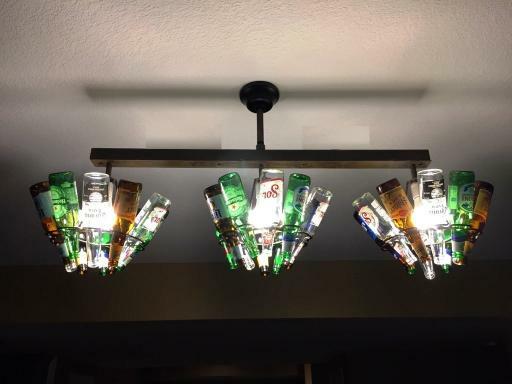 We have been making beer bottle sconces and chandeliers for over 19 years now and have been in business for 25 years. We love to create items that promote recycling and adds a very cool look to someone's home or business. Select a photo below to read the features of an item. Please select a theme, color, finish and caption for your wall sconce - If it is a custom caption please select custom and enter the text at check out.